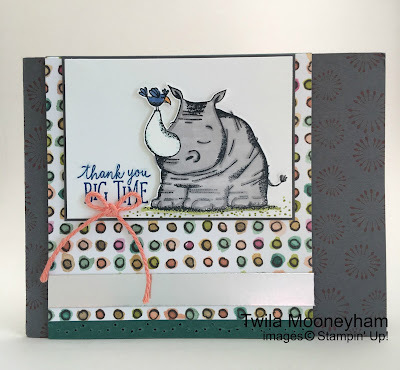 Hello stampers and welcome back to our Team Swap Monday series! 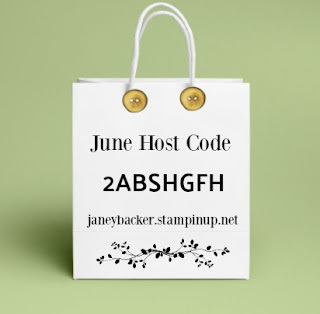 My stamping teammates and I create designs from our new catalog, we swap our cards, and then I love to share the designs with you each Monday. I hope you are inspired by our creativity. 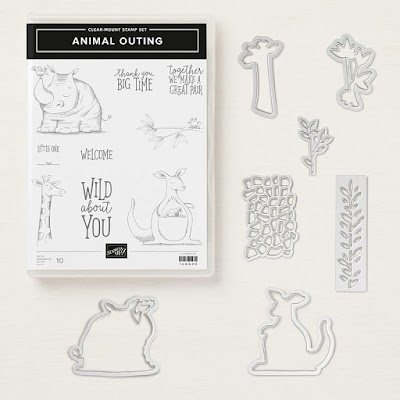 I am excited to share two adorable and stunning card designs featuring our Animal Outing bundle from our Animal Expedition suite. 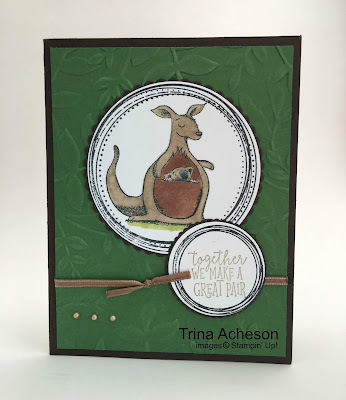 This swap was designed by Trina, the coloring is impeccable and that koala in the kangaroo's pouch is adorable. She used our new Swirly Frames for both circles, aren't they fun? This rhinoceros and his little birdie friend are so sweet. Twila designed this swap. The Share What You Love designer series paper creates a great whimsical background. Isn't her coloring gorgeous? You can see the Animal Outing bundle here. You can see the entire Animal Expedition suite here. Have fun creating with our fun animals from the Animal Outing bundle! I love this set. It is so adorable and fun to work with. I need to play with mine - there are so many super cute designs with it!